As a programmer, it is very common to share coding example with others. But by default, there is no suitable layout for coding. Now, you can add one. 1. Go to control panel of Blogger like below. And select "Template"
3. Search for keyword "<\head>", and add the following above it. Finally, Save it. 4. 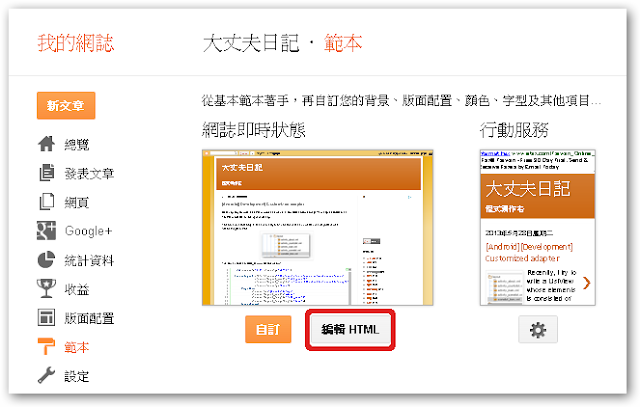 When you try to add the coding into the Blogger, you could switch to HTML first. And add the code like below.